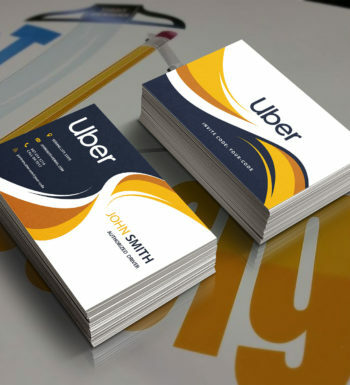 Professional, sleek and to the point design on thick 16PT card-stock. 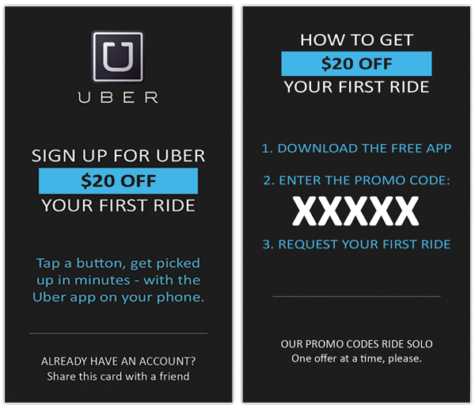 An Uber chauffeur can receive credits when a passenger uses this referral voucher for a complimentary first ride when they sign-up. How many do you want us to print for you? Choose below. 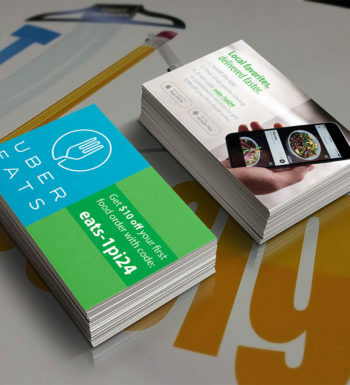 Enter your Referral Code to be displayed on your Business Cards. 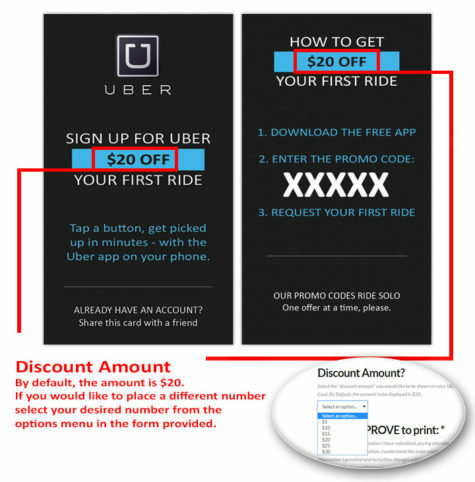 We will use this code to generate the Rider Discount Amount to be displayed on your Referral Cards. *Send to Print or Email Design? 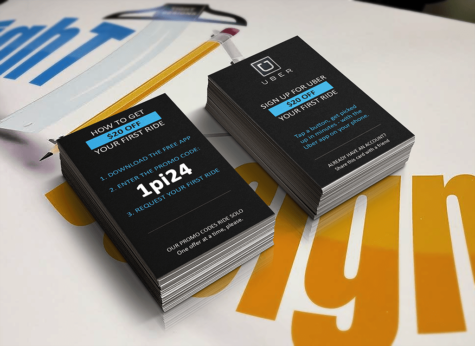 These vouchers display the driver’s unique referral code for new passengers using the Uber car service. For a custom design including, but not limited to contact information, colors, and pictures; contact us. Up to 3 Business Days. Contact us for a quote on faster turn-around time. Diversify your Uber income and receive more money without having to drive. Yes, it is true. 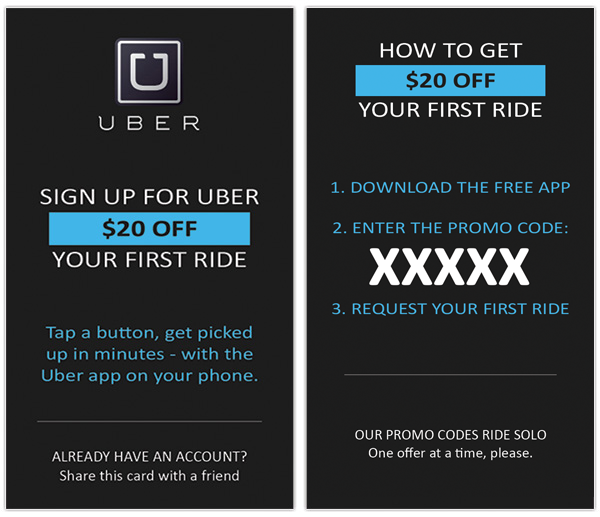 Uber will pay you to tell people about the service. You already tell people, but you aren\'t getting paid for that. Simply use this tool to hand new Uber riders your referral number. They get a free ride and you get paid. It\'s a win win! Act now! Number have fluctuated from $30 to $15. Hand them to riders already in your car and tell them to give it to their family and friends. They will feel great about being able to share the complementary gift and experience the revolutionary ride sharing service. But hold up! This is not the only way to promote your Uber referral code. We also offer highly visible car magnets. 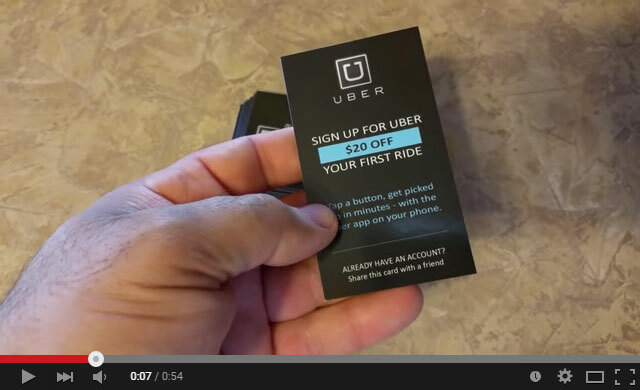 These car magnets display your Uber referral code in a big 18" x 12" decal, so people can see if from 100 feet away. Can you imagine a person on the street about to call a taxi and they see your magnet? They will jump on the chance just to save the money and experience something new. The best part besides not having to verbally promote the code, it never ends! 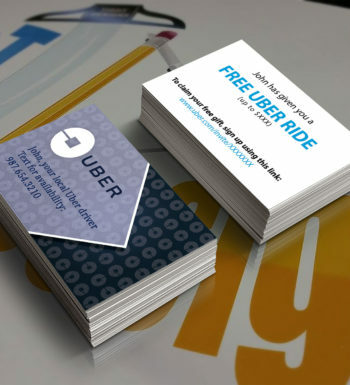 You can have your magnet displaying your Uber Referral Code forever… while you drive, while you\'re parked, even while you sleep! It\'s a no brainer!